Our moose hunting is as flexible as you will find anywhere. 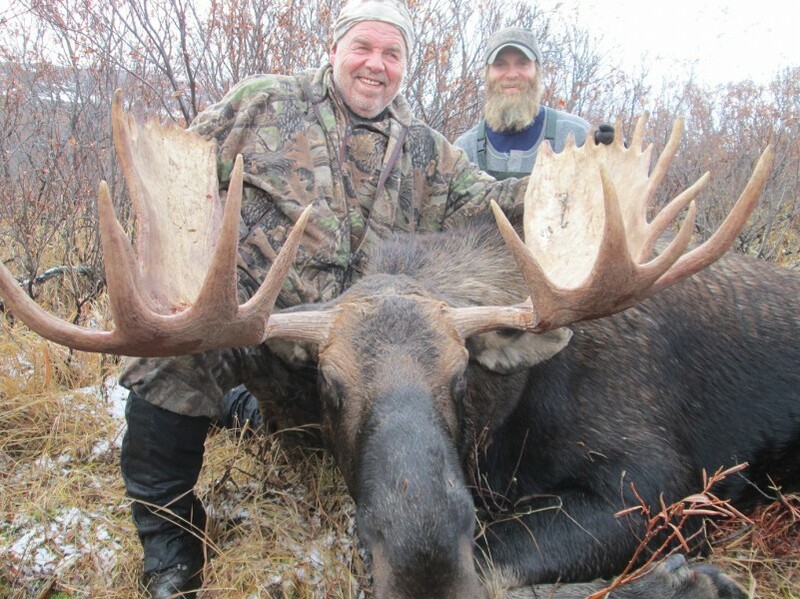 Our guided Canadian Moose hunts are available as either fly-in camps or lodge hunts. 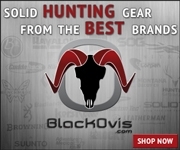 On our fly-in hunts we have a hunter success rate of 90% on wall hanger bulls. To be able to do this, we limit the number of moose hunters that we take per season. 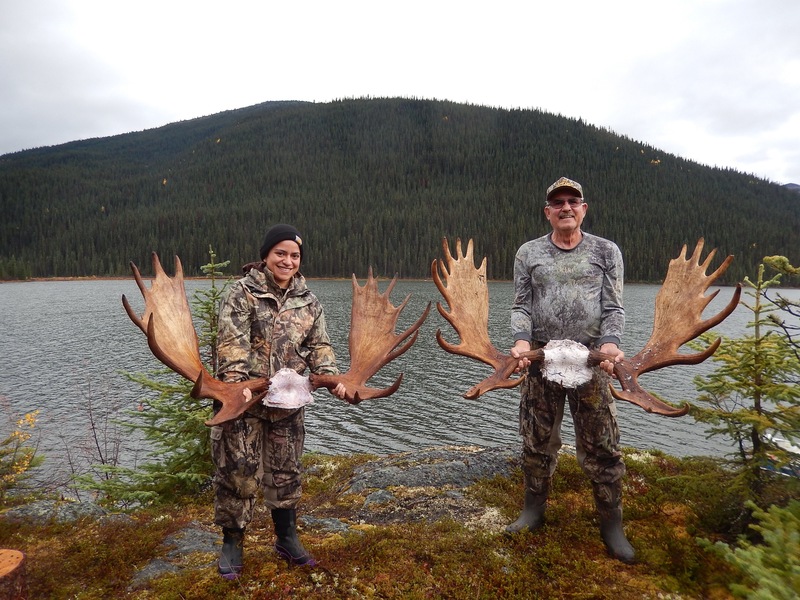 This insures that our hunters have an excellent opportunity to harvest a Canadian moose. 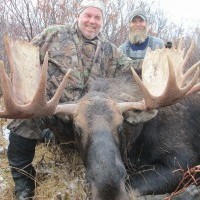 These moose get as big as 60+" and average around 50". 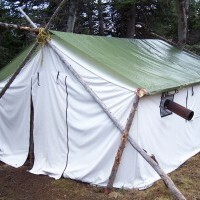 All of our fly in camps have cabins or wall tents making your stay quite enjoyably comfortable. The moose hunting season is an excellent opportunity for combination hunts for goat, black bear, grizzly and timber wolf. We also have several tags in the lower part of the area for hunters looking for guided moose hunts by vehicle for meat moose. Our guided meat moose hunt dates are mid September to November 15. What a great way to fill your freezer with organic meat. Canadian moose season runs from August 20th to November 15th.